The Woolly Worm is a ubiquitous pattern that may have originated in England ages ago, but it was introduced to our country in the 1970's. One of my favorite variations of a Woolly Worm is the Ochoco Special tied by Larry Piatt of Prineville, Oregon. 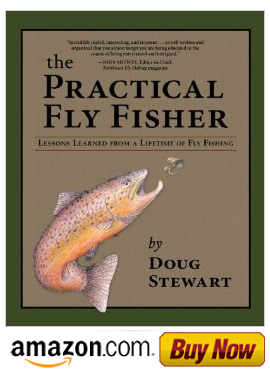 He had great success with this pattern on Ochoco Reservoir in Eastern Oregon, hence the name. The main difference is that several peacock herls are laid flat over the back to suggest the digestive tract of a caterpillar. 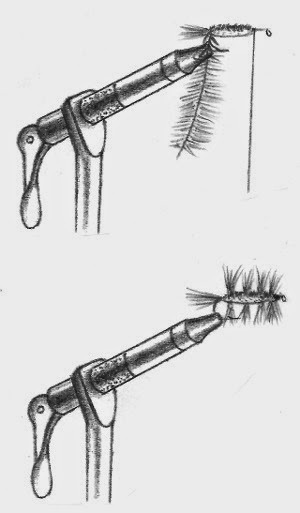 Other variations of the Woolly Worm involve (1) clipping the hackle short to represent legs, (2) wrapping tinsel around the body, and (3) the addition of marabou for the tail to give the fly a lively swimming motion. This latter variation was eventually called the Woolly Bugger. Flashy materials such as bead heads and Krystal Flash can also be added. Step 1. 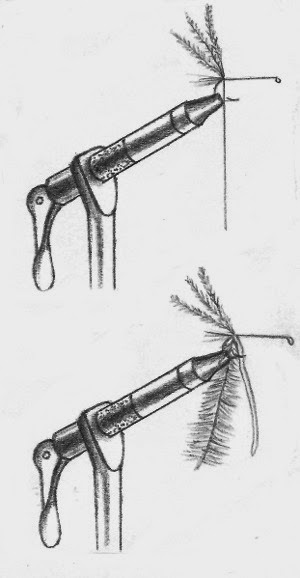 Tie in the tail and attach two to four peacock herls. Step 2. Attach the grizzly hackle and chenille. Step 3. Wrap the chenille forward and bring the herls over the chenille to form the back. Step 4. Spiral four to six wraps of hackle forward, tie it off and finish the head.